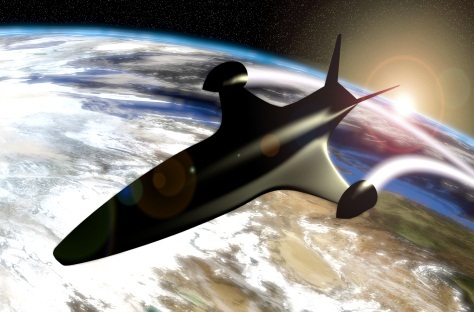 The Centre for Future Air-Space Transportation Technology (cFASTT) is a research centre at the University of Strathclyde that was established in 2010 with the intent of revolutionising future air and space travel. 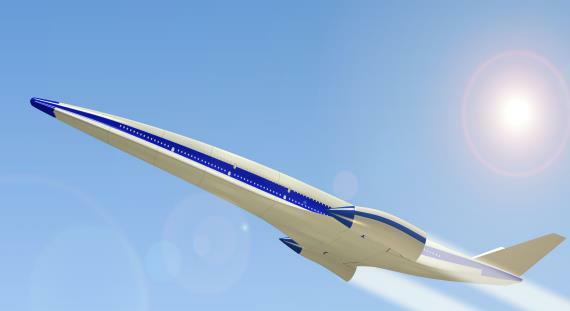 The aim of cFASTT is to perform the dedicated long-term planning and research that is required to create the space access and air transport systems of the future. Current efforts are devoted to the preliminary design of a Single-Stage-to-Orbit vehicle, which, similarly to the Skylon concept of Reaction Engine Ltd, should be able to deliver payload into orbit by operating like a normal aircraft (horizontal take-off and landing) and with much lower costs compared to current launch solutions (Fig. 1 and 2). Once a ll the sub-systems (aerodynamic, structural, and propulsion) are modelled, all the models can be integrated and used to evaluate the performance of the vehicle. However, especially during the first phases of the design process, all the models and considered operational conditions are heavily affected by uncertainties, which should be taken into account to avoid propagating an unrealistic design. The uncertainty quantification/propagation process is normally associated to a sampling of the performance on the stochastic space, which makes uncertainty quantification a really computationally expensive task. When each sampling requires several minutes to several hours, the sampling procedure must be parallelised on an HPC machine. Figure 2. 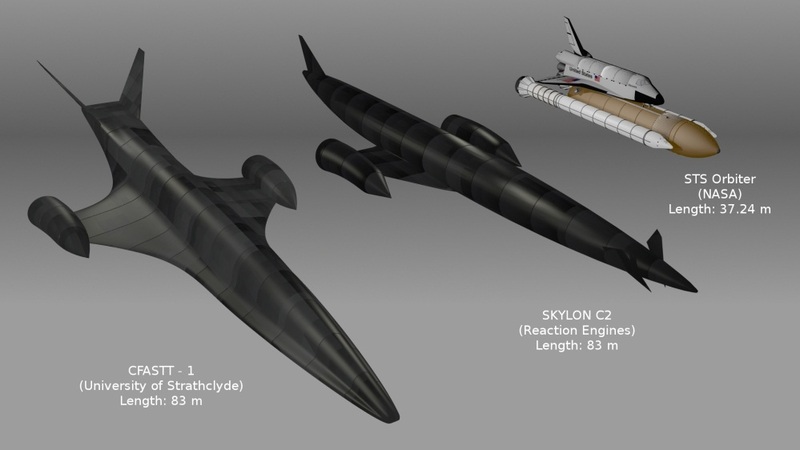 CFASTT-1 vehicle compared to Skylon C2 and Shuttle. Figure 3. 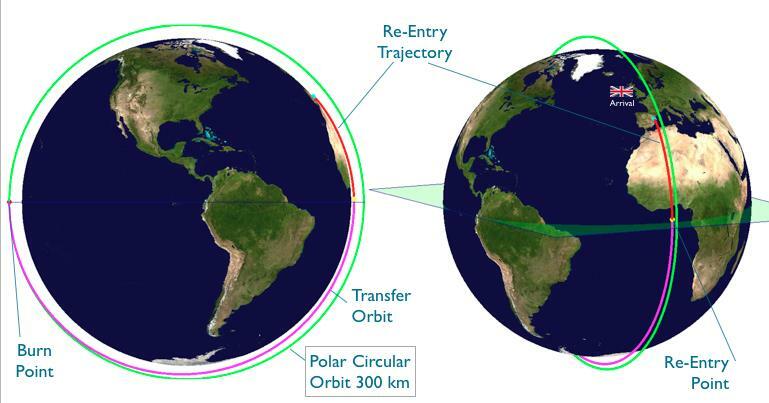 Re-entry mission example. This research work is carried out in collaboration with: Prof Richard E. Brown, Director of cFASTT at the Department of Mechanical & Aerospace Engineeringat the University of Strathclyde, Dr Christie Maddock, Lecturer at cFASTT and Mr Fabrizio Pescetelli, Ph.D. Candidate, cFASTT. For more information about the project contact Dr Edmondo Minisci (edmondo.minisci [at] strath [dot] ac [dot] uk), Lecturer at the Department of Mechanical and Aerospace Engineering at the University of Strathclyde.